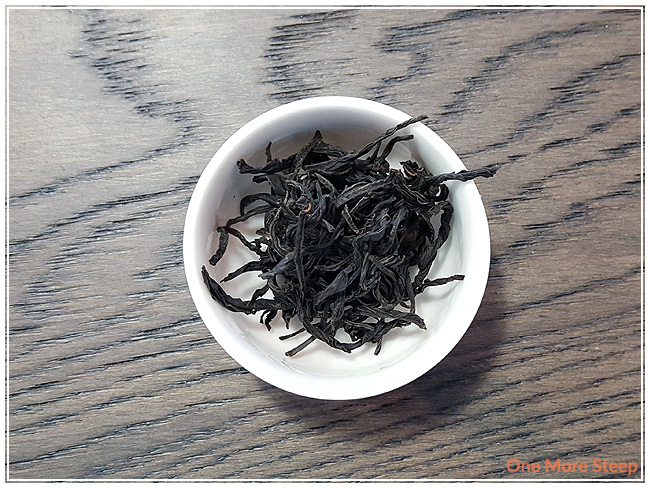 Sun Moon Black is one of DavidsTea’s latest straight teas. This has been described as a black tea with a “distinctive minty fresh”. Because I’m able to pop into a local DavidsTea storefront, I’m able to purchase less than 50g of tea at a time, which is great for trying out new teas. When buying loose leaf tea at their stores, you can receive the tea in resealable foil bags (like the one pictured), or in tea tins (like the one shown in my review of DavidsTea’s Organic Earl Grey). The tea leaves are long and wiry, an almost dark purple colour. The aroma from the dry leaf reminds me of a little bit of sweetness with plum notes. 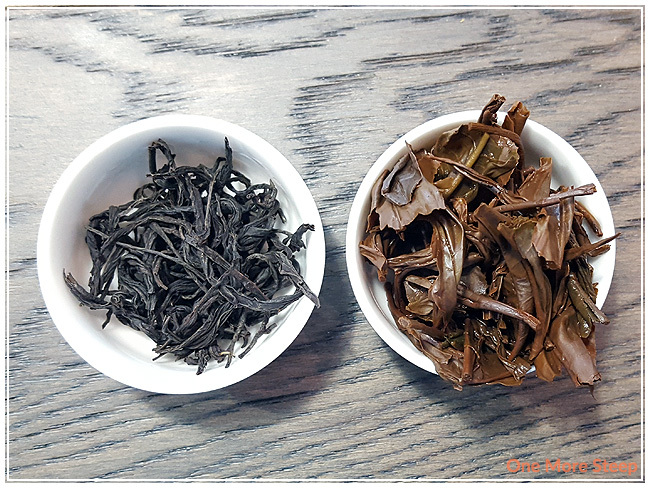 Sun Moon Black is a straight black tea from Taiwan, DavidsTea’s product page describes the tea as having been grown on near Sun Moon Lake in Nantou. 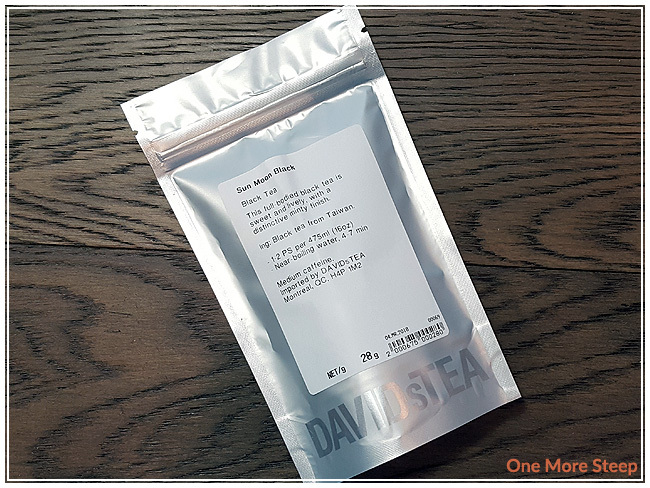 DavidsTea recommends steeping Sun Moon Black in “near-boiling” water for 4 to 7 minutes. Near-boiling is 90-95°C (194-203°F). I did an initial steep of Sun Moon Black for 3 minutes at 93°C (200°F). Sun Moon Black steeps to a beautiful golden orange, with a very lovely aroma – it reminds me of plums and honey. The flavour is strong, almost overly so – it reminds of the robustness packing a punch behind a breakfast tea. There’s a nice honeyed sweetness to this tea that is delightful. I note the description of this tea includes a “minty finish”, but I don’t really taste anything that reminds me of mint. Sun Moon Black has a nice smoothness to it though, with zero astringency or bitterness. I resteeped Sun Moon Black a total of four times (five steeps overall), keeping my water temperature consistent throughout all of the steeps and adding 30 seconds for each additional steep. This tea strengthened in flavour for the first and second resteeps, and began to lose flavour for the third and fourth. The balance of plum and honey stayed the same throughout all the steeps, just differed in intensity. 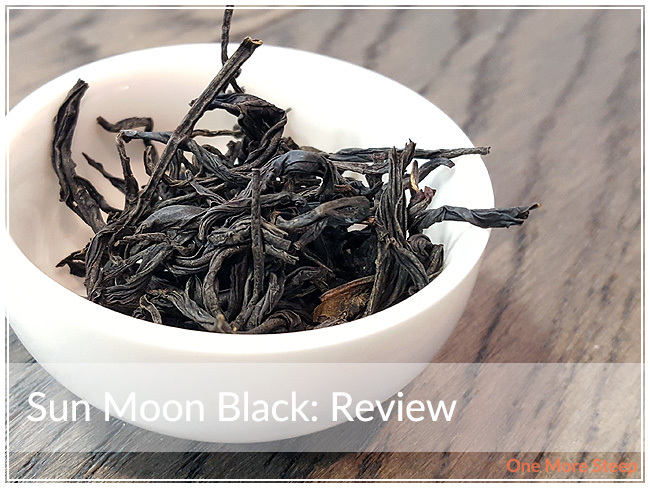 I loved DavidsTea’s Sun Moon Black. 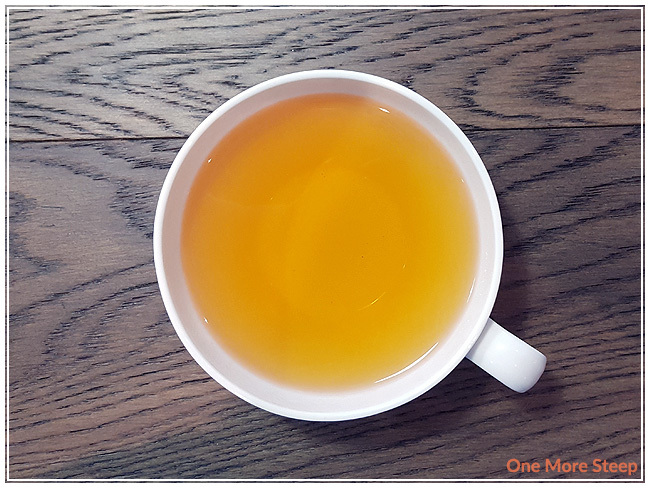 This wiry black tea makes for a delicious cup of tea, and I found that the flavours were easy to drink. The smoothness of this tea makes for a good cup of tea, and I really enjoyed being able to resteep the tea leaves over and over again. I do wish that this tea was less expensive, as it’s on the pricey side for a black tea – that’s one of the factors that will probably be preventing me from keeping a large amount of it in my tea stash.